VVeber is a Berlin-based musician, producer and DJ. 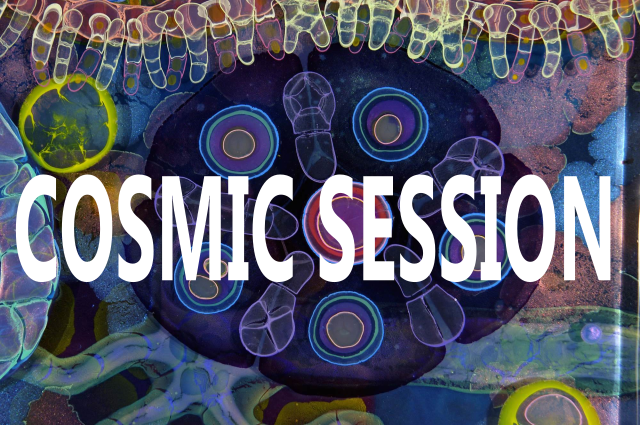 In the cosmic session he will premiere some of the experimental electronic music that he created in the studio the course of the last months. Vizard is producer duo operating from Berlin. They produce music and passionately play live sets. Since They work in the advertisement field they often create visual concepts for our music that most of the time comes with a very specific soundscape. Uricane is a highly gifted and experienced musician, producer, dj and live sound and atmosphere designer from Tel Aviv. His musical identity can be described as deep, atmospheric, melancholic and powered by emotions.